OUR MISSION: We seek to be an inclusive Christian community that affirms faith in God and spiritual growth with a commitment to justice and stewardship of God’s creation. PPUMC is a church for the neighborhood. We provide worship space to two different guest congregations, concert space for the community choir and other musical ensembles, as well as acting as a central meeting location for a wide variety of arts and social service organizations. PPUMC was the third UMC congregation in Minnesota to become a Reconciling Congregation, and we actively live the commitment to be a congregation that welcomes people, regardless of their sexual orientation. 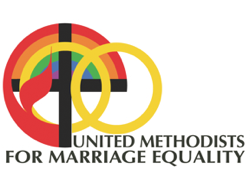 We are a member of the Minnesota United Methodist Reconciling Congregations, and we participate in the Gay Pride Parade held each June in Minneapolis. PPUMC has maintained a constant commitment to creation care, enacted with the PPUMC Timely Topics series, From Fear to Faithful Action: Building Resilience in a Time of Climate Change, presented September 2013 through March 2014. PPUMC was one of the faith communities, along with Minnesota Interfaith Power and Light, featured in a video produced by the 24 Hours of Reality Project, which highlighted 24 reasons to be hopeful about our future. The video was live-streamed on September 16, 2014, and is now available for viewing on YouTube – https://www.youtube.com/watch?v=kKIXFLxMZhE. PPUMC received a grant from Hennepin County in 2015 to forward its recycling and composting efforts. PPUMC continues to be active with groups that care about the environment and the future.